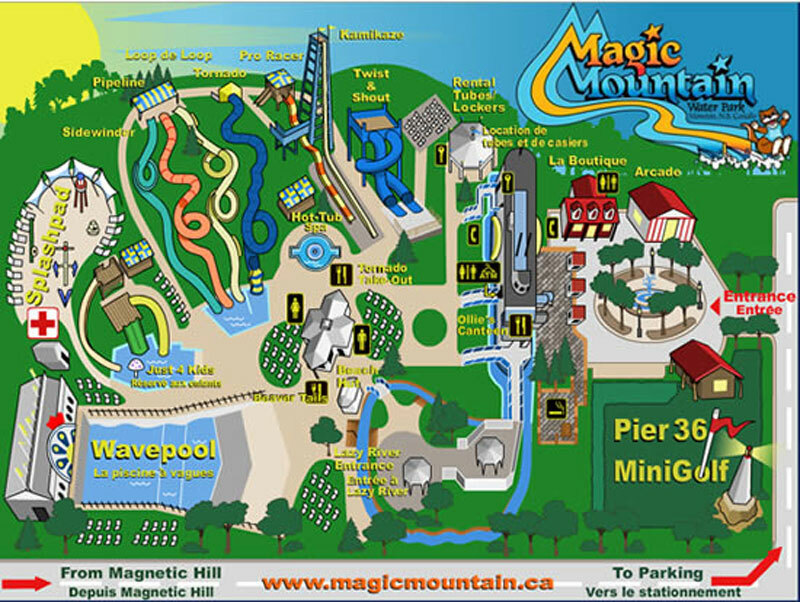 Centreville Amusement Park is the name of an amusement park situated in Middle Island, which forms a part of Toronto Islands in Ontario, Canada. The park was completed in 1967 and it has a 1900s turn-of-the-century motif, complete with a miniature railway. There’s an 1870-era cast iron planter which commemorates the birthday of Queen Victoria. This was originally built in front of the St. Lawrence Market but has since been relocated to the center Centreville Amusement Park. Guests will also see a carousel in the park which was built in 1907. Centreville Park is managed by the Beasley Amusements but the land on which it stands is actually owned by the City of Toronto and is being leased to the park. It is linked to downtown Toronto via one of the ferry services, which connects a dock neighboring the park with another located at Bay Street in Central Toronto waterfront. This park was constructed as part of a plan to transform the land usage of Toronto Islands from cottage residences into recreational uses. Centreville Park started operations in 1967 and has continued to expand over the years, installing one or two additional rides every year. 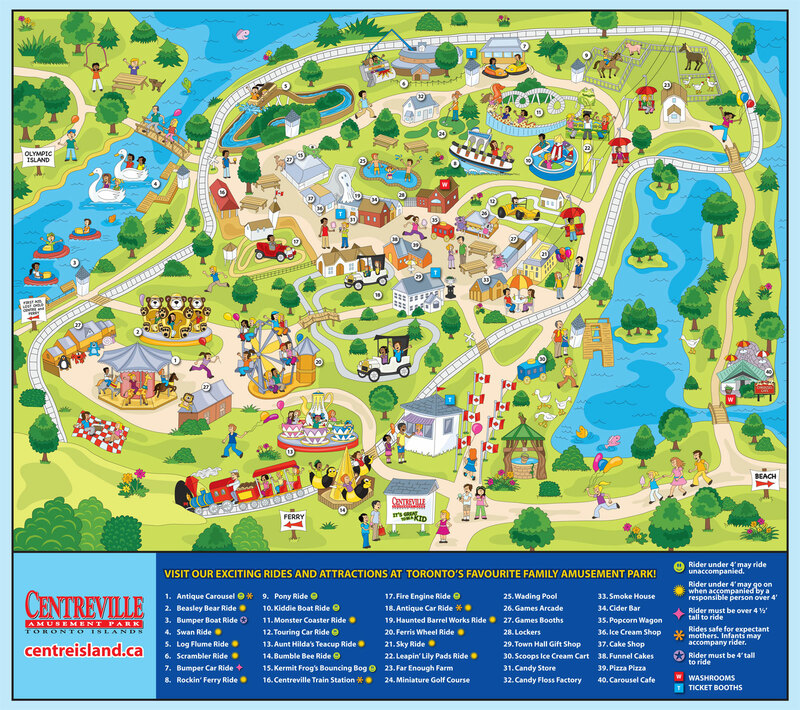 Centreville Amusement Park is mainly a children’s park and makes a great summer vacation treat for children of all ages. 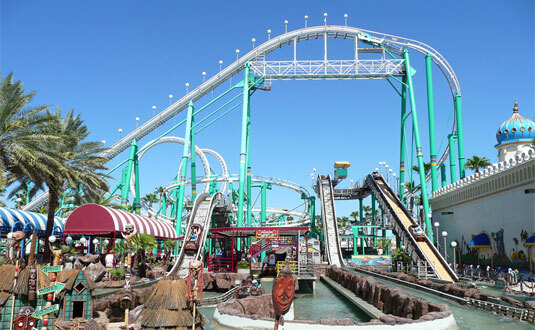 The park stands on over 600 acres of land and has 30 different rides and attractions. 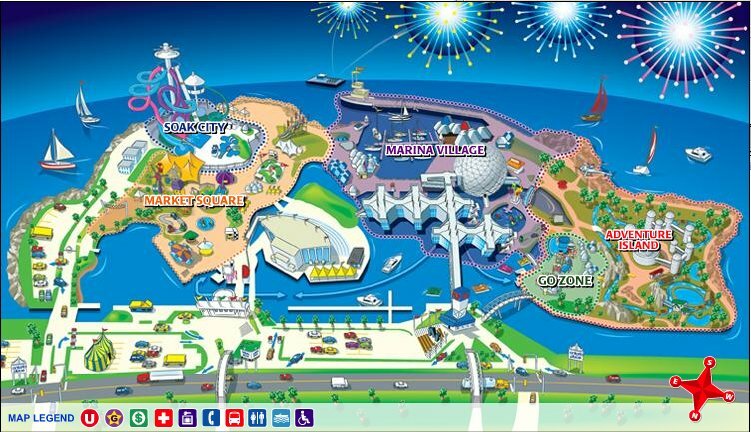 Kids will definitely enjoy many fun-filled hours on the rides such as the Ferris wheel, bumper boats, antique carousel, pony ride, swan ride, twirling teacups and water slide. The more adventurous children can get their fill of excitement at the creepy Haunted Barrel Works whereas both kids and adults will surely enjoy the park’s Sky Ride, a ski lift kind of transportation which gives guests a wonderful view of the entire Centreville Park and even beyond. When the family gets hungry, they can choose from more than 14 food outlets available inside the park. After having their fill of the rides, guests can also play a more relaxing game of miniature golf or enjoy a stroll through the animal farm. If anyone is interested in seeing the whole park, there are two rides that travel the park’s entire premises. One is the miniature railway and the other is the Sky Ride, which has already been mentioned above. Centreville Park is definitely worth a visit, not least because of its unique, vintage theme. The park will give kids a fun and interesting hint of what the 1900s looked like. 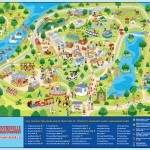 For more information, please visit Centreville Amusement Park.